We've been busy adding multiple cars to the gallery. Here's an overview of some American Iron picture collections that have been updated or added. Click here for the newly added Duesenberg Model J Convertible Sedan gallery. The one-off Duesenberg Model J Torpedo Sedan #J546 by Rollston can be seen here. Click here to see an American chassis with an Italian body: the Chrysler New Yorker "Thomas Special" Coupe, styled by Virgil Exner, built by Ghia. 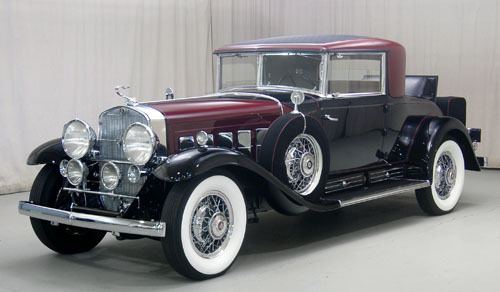 Several Cadillacs by Fleetwood have been added: the V16 Coupe, the V16 Roadster and a V16 Imperial Limousine. We've also added some images to the gallery of the Buick 80 Roadmaster Towncar by Brewster. And then there are currently three cars in our gallery wearing coachwork by LeBaron: the Chrysler CG Custom Imperial Roadster and the very rare Coupe. 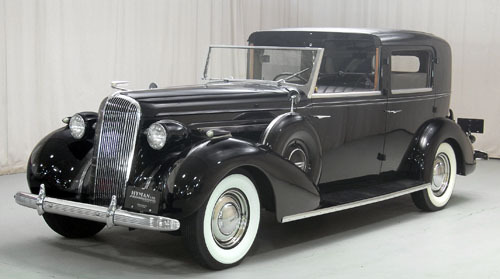 The first Marmon to grace our gallery is this stylish Marmon Sixteen Limousine by LeBaron. More cars by LeBaron will be added soon, so stay tuned. There are so many pictures that are collected from the world wide web or coming in daily through e-mail and our forum, that it's quite possible we missed some. Anyway, the above mentioned models are not to be missed. We hope you enjoy the galleries!